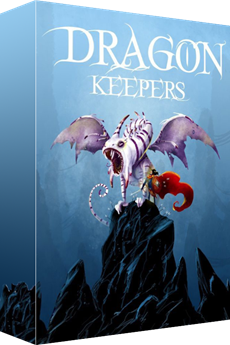 Defend the dragons from attacks of evil hunters in Dragon Keepers - a new thematic game by Vital Lacerda, based on dice rolling and hand management mechanics, with different gameplay modes for both children and adults. In this fantasy universe, each player is the chief of a tribe of dragon keepers, defending the dragons from attacks by the evil hunter. The hunter wants to see those cute dragons dead, but must get past the dragon keepers. The keepers belong to different tribes but together they have the common goal of protecting the dragons. The keepers use magic in their duels with the evil hunter. You can order physical copy of the game on the currently ongoing Kickstarter project.